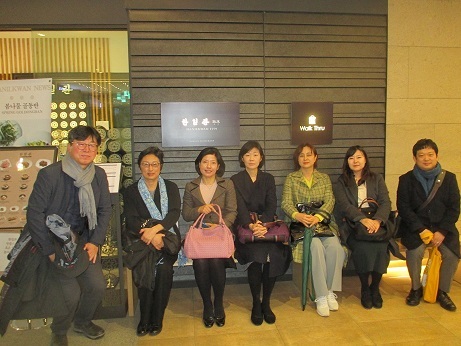 To kick off the Japan-Korea Asia Future Forum we had a Raccoon gathering in Seoul at a restaurant in Gwanghwamun. We were expecting only 4 people to show up but were pleasantly surprised when that figure doubled to 8 participants. There is a metaphor that goes "so much food that the legs of a table would break," and true to that saying, more and more food was served and piled up on our table, filling our stomachs to the brim. The lunch was an extravagant, truly delicious meal.